Bands: AM, SW. Tube Lineup: 6A7, 6D6, 75, 6G5 (eye), 25L6, 25Z5. Plaskon. 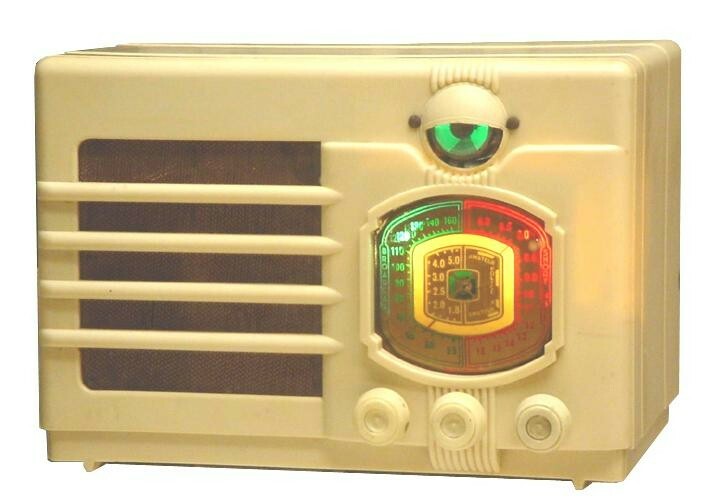 Model number uncertain; this radio was most likely produced by Pacific and is sometimes seen under the Lafayette brand, although the schematic for the Pacific 30 does not entirely match the circuitry in this one.